Printable Christmas crafts are a great way to keep kids entertained and in the holiday spirit in the days leading up to Christmas. When it's snowy and cold outside, they can stay warm and have fun crafting together. No matter what age your child is, one of these crafts is sure to be a hit. These free printables are easy to use. 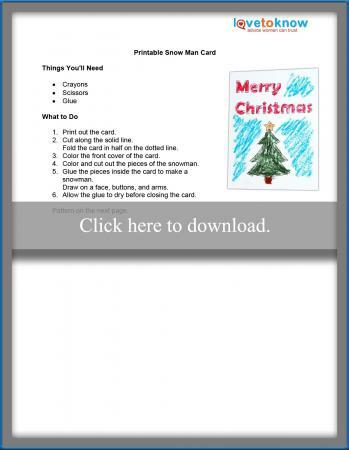 If you need help downloading any of the printables, check out these helpful tips. 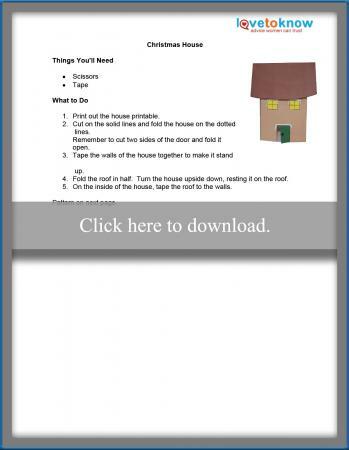 Kids can print and assemble their very own miniature house and decorate it for the holidays. Far less messy and time-consuming than making a gingerbread house, this fun craft is perfect for school age kids who are handy with scissors. It comes with all the pieces needed to make a four-inch-tall miniature house with a real working door, which kids can use for play time or simply as a pretty decoration. All kids need to complete it are scissors, tape, and any art supplies they'd like to use to create decorations. Making the house should take about half an hour. Print this Christmas house craft. 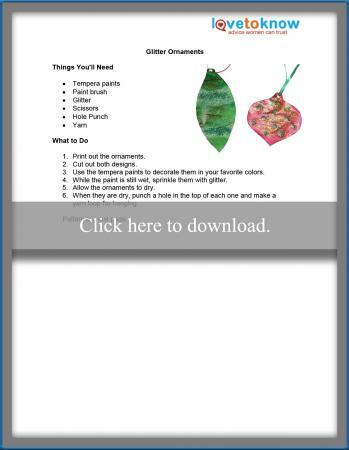 Printable Christmas ornaments are a fun holiday activity for kids of all ages. Even preschoolers will love this craft, though they may need a little help with the cutting. Older kids can create elaborate decorations to make the craft more challenging. This printable includes two different styles of Christmas ornaments, plus instructions for decorating them. Kids will need a few basic supplies including paint, glitter, scissors, and yarn, and the craft will take about half an hour. When the ornaments are done, they'll add a touch of handmade sparkle to your Christmas tree. Print to make glitter ornaments. Snowman crafts are a great way to get into the holiday spirit, and this printable Christmas card is no exception. Since it requires cutting skills as well as coloring, it's best for elementary-aged children or younger kids who have adult help. Kids can color the outside of the card and assemble a snowman to decorate the inside. It makes a perfect holiday greeting for teachers, neighbors, and grandparents, and it doesn't require any special supplies. 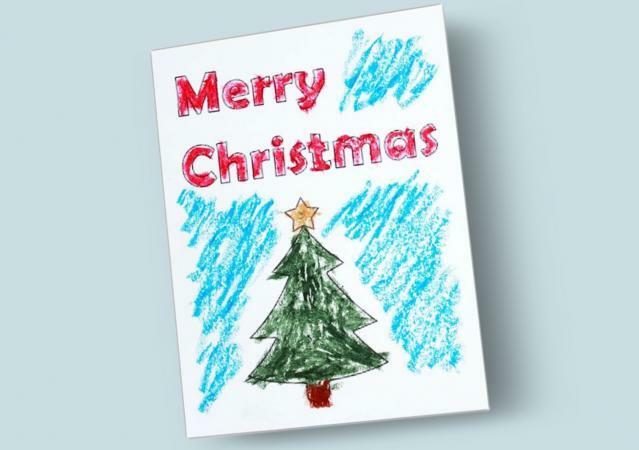 With just crayons, scissors, glue, and about half an hour of time, kids will have a unique Christmas greeting card. Print this snowman card to assemble. All it takes is good cutting skills to make this beautiful Christmas poinsettia decoration. 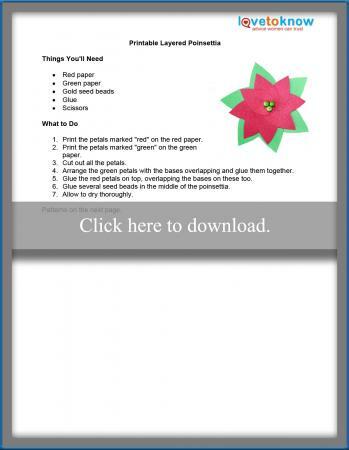 School-age kids can cut out green and red paper petals and glue them together, creating a flower that's ideal for topping special gifts, decorating a card, or simply adding Christmas cheer to the refrigerator door. You'll need green and red paper for the printer, as well as glue and seed beads to assemble this pretty decoration. Expect to spend about half an hour to an hour assembling the poinsettia, and then it will need a couple of hours of drying time before you can use it. Print and assemble this pretty poinsettia. Kids can make their very own miniature, three-dimensional Christmas tree with this fun printable craft. For preschoolers, it's best for an adult to cut out the tree shape, but older kids can do the cutting themselves. Decorating the tree is lots of fun and requires only basic art supplies like paint, glue, glitter, and miniature pom-poms. When it's done, this cute tree will look beautiful on the mantle or displayed on a shelf, or it can be the perfect centerpiece for the holiday dinner table. 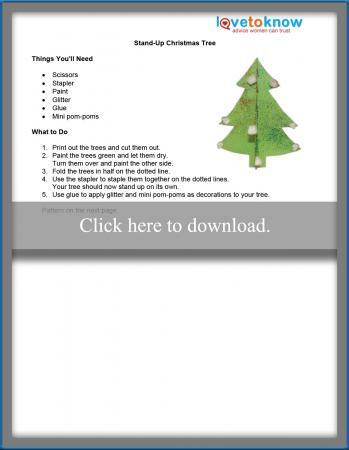 Print and decorate this miniature Christmas tree. Crafting is a fun, interactive way for kids to get in on the fun of the Christmas holidays. Seeing and sharing the printable crafts they make will give kids a feeling of pride and a sense of joy this holiday season.